AWRW January Reading Roundup: Reading Is Snow Cool + Guest Bedroom Revamp! AWRW Presents: Nights With Him, by Lauren Blakely COVER REVEAL! Blog Stop: Just Destiny, by Theresa Rizzo Book Review + GIVEAWAY! Guess Who’s Stopping By? 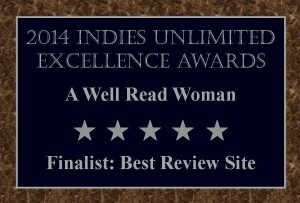 Award Winning Author Theresa Rizzo Visits A Well Read Woman Blog! Please join me in welcoming Theresa Rizzo to A Well Read Woman Blog on Tuesday, April 8th! I will be sponsoring a Giveaway and featuring my Book Review of Just Destiny, which was released on March 31rst! Guess who’s stopping by? Blog Tour with Rasheedah Prioleau! Review and book excerpt, (provided by author), to be published February 3rd! Welcome Rasheedah Prioleau to A Well Read Woman Blog!